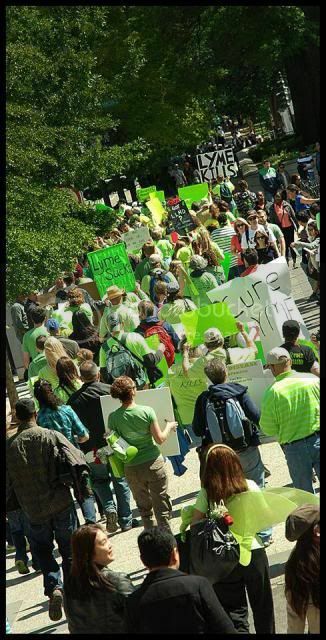 The Mayday Project is an organization dedicated to rally and protest for the rights of those suffering from Lyme disease and other tick borne illness. disease. This year change will happen! Change starts with you! Tell CNN You Want Them To Cover the Lyme Disease Rally in Washington DC on May 25th! This epidemic has been ignored by the mainline media for too long. This is a major news making issue, yet it continues to be ignored. We are tired of being shrugged off, our illnesses are real and extended. Click the link, then click ‘this belongs on CNN’. Leave a comment if you wish. This controversial issue needs to be on the forefront; like yesterday! Why don’t you think it’s important? Afraid it won’t be newsworthy? If you researched this issue, you would be shocked and appalled to to learn that a whole generation of medical professionals we rely on for help DENY this disease exists chronically. The worst part, the statistics for reporting this disease are flawed and some southern states have carefully coached and drilled their doctors that “WE don’t have Lyme in AR-TX-LA-OK-MS-AL-GA-FL and so on….It is a bald faced lie!!! Why are our medical professionals NOT being told the truth! Why has the CDC restricted them so…what do they have to hide!!!? You must cover this event.